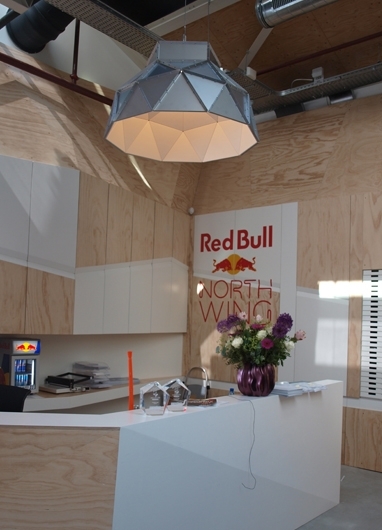 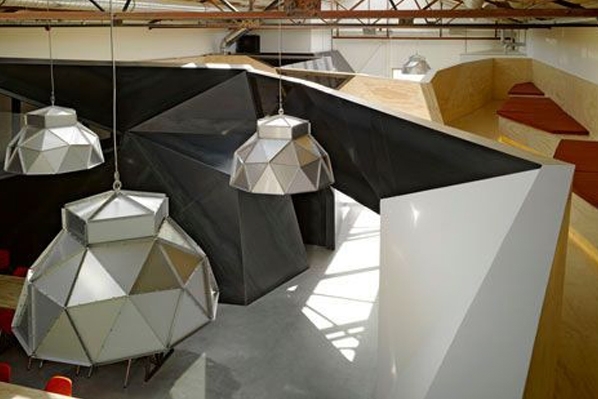 For this great interior of the Red Bull head quarters at the NDSM wharf in Amsterdam, we delivered 9 Apollo Lampshades in the Inox-White version. 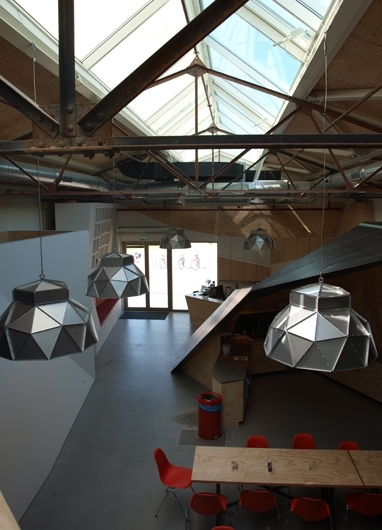 In cooperation with Sid Lee Architects and DARK we made the lighting plan matching the industrial ambiance of the old warehouse in which the office is build. 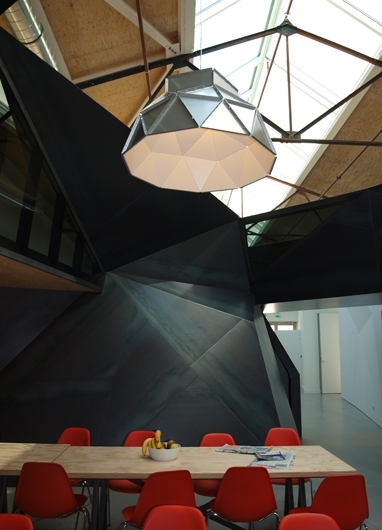 The facetted shape of the Lampshade matches great with the rocky, blue steel landscape of walls that Fiction Factory custom made for this interior. 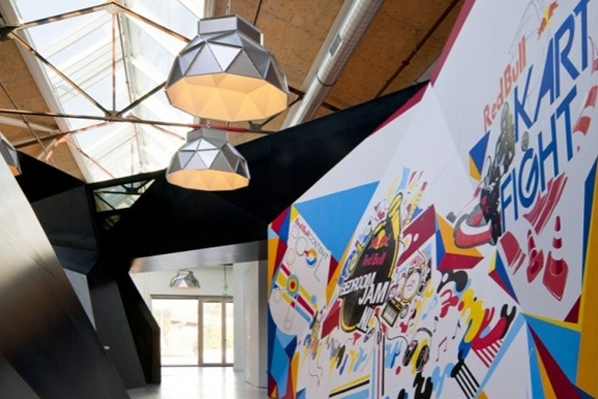 A playfull and urban interior and lightingplan in the typical Red Bull style!